I never dreamed I'd be a super cool soccer mom, but here I am KILLIN' IT! 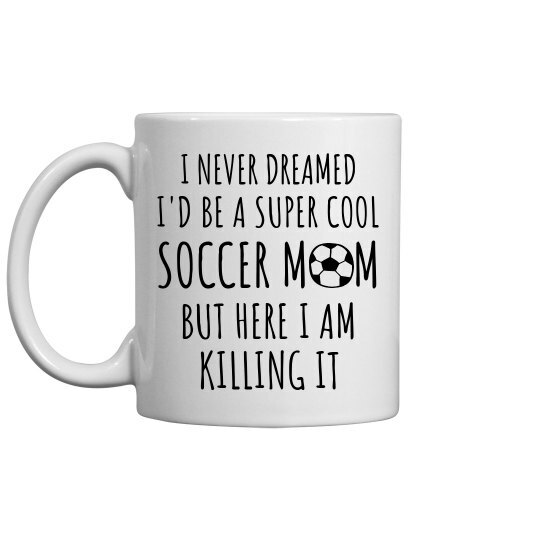 Snag this funny soccer mom mug for the ultimate go getter in your life. This cute ceramic cup will be the perfect Mother's Day, birthday, or holiday gift!